Dale Oden prays for the 2015 medical mission team. 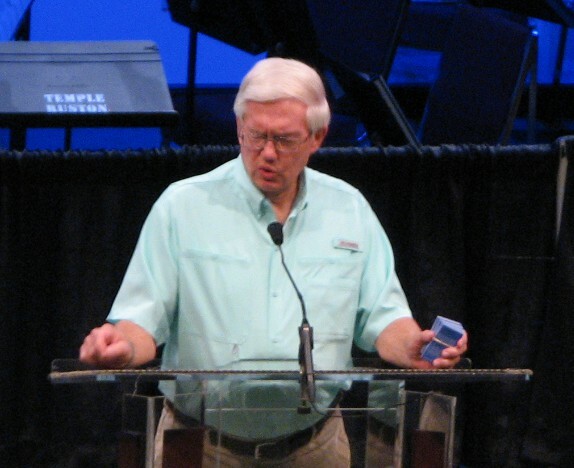 At the end of the Aug. 16 evening Worship Service, Associate Pastor Dale Oden led a commissioning service for Temple members and other individuals who will compose this year’s medical mission team for Nicaragua. Each August, the church sends a group to treat physical ills and share the message of salvation through Jesus Christ. Please pray for the following people as they minister in Nicaragua Aug. 22-28. Also, please pray for the people to whom they minister.